Louis Pakele pitched deep into this July 1990 game for Boise, scattering three hits over seven innings, while giving up a single earned run, according to The Eugene Register-Guard. Pakele explained his success to The Register-Guard later. "I'm not an overpowering pitcher," Pakele told told the paper. "I just try to throw strikes." Pakele pitched his first season as a pro that year for Boise. He returned for another in 1991 for high-A Palm Springs. But those two seasons marked the extent of his pro career. He never made AA. Pakele's career began in 1990, taken by the Angels in the 31st round of the draft out of the University of Hawaii at Hilo. Pakele has also been identified as Louie Pakele. 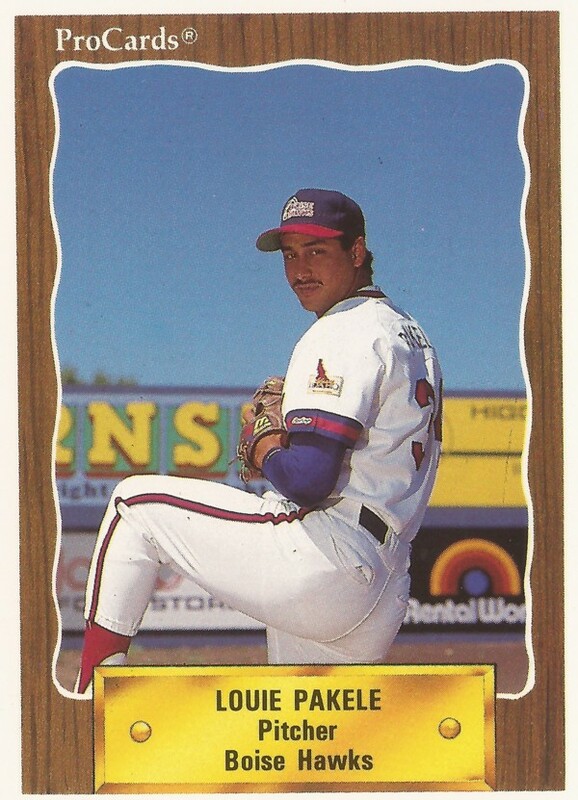 At Hilo, Pakele went seven innings, giving up three hits in a March 1989 victory. He then turned in a complete-game win in a March 1990 game. Pakele then started with the Angels at short-season Boise. He got into 15 games, starting 13. He went 5-3, with a 2.78 ERA. He went four innings in a late-July game, getting ejected with others after a brawl. Pakele then moved to Palm Springs for 1991. He started 26 games there, going 7-11. He also turned in a 4.65 ERA, marking the end of his career.